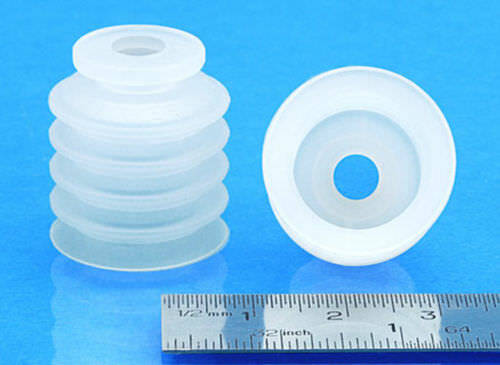 The Anver BL series is an array of suction cups constructed in silicone body. These cups are suitable for applications that require longer cup movement. They can also be used where level compensation is desired on irregularly shaped objects, where a vertical off-set motion is involved, or for use on curved surfaces. In addition, these are offered in various sizes ranging from 0.78" to 1.97".